1) Do you really, really like beer? To our glowing depiction of BrewDog's 32-room Doghouse, otherwise known as the world’s first craft beer hotel. Following a wild crowdfunding campaign, it’s open now in Columbus, Ohio, thus giving you a reason to finally go to Columbus, Ohio. 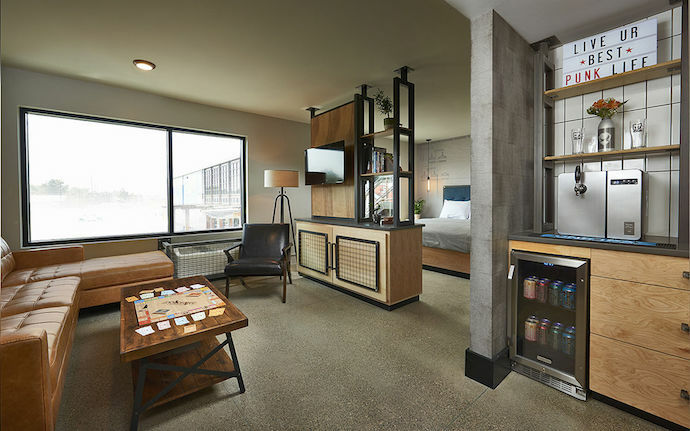 So...you might be wondering, what exactly makes this a “craft beer hotel”? Well, for one thing, it exists inside a state-of-the-art sour beer facility, installed by the masterminds behind BrewDog, a multinational brewery known for its decidedly hoppy Punk IPA. Everyone will have access to the facility and taproom, for tours, beers, what have you, once it opens later this year. 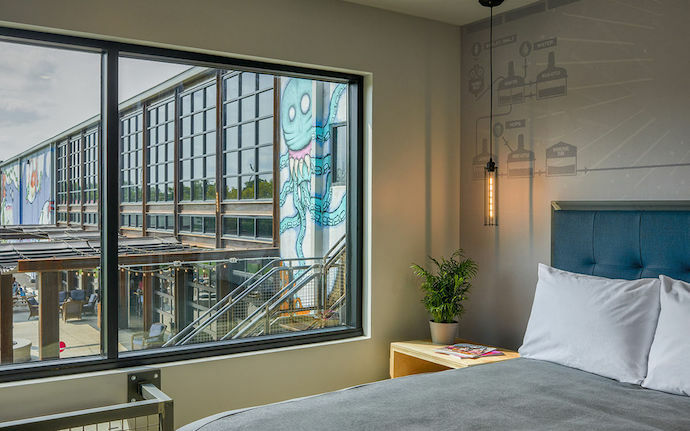 But should you book the Brewmaster Suite, you’ll be privy to a roll-up garage door view of the space from your room. Not sure why you’d need that, unless you were the actual brewmaster, but hey, it’s pretty damn cool nonetheless. Come morning, you’ll enjoy a beer-paired breakfast in the lobby bar (menu here), before heading out to the spacious front patio to play some beer pong. Maybe later you take the DogWalk, an hour-long interactive tour of the brewery. Maybe you stroll, pleasantly tipsy, through the hotel’s 6,000-square-foot craft beer museum. Or maybe you take a short break from all the beer and order a glass of wine.